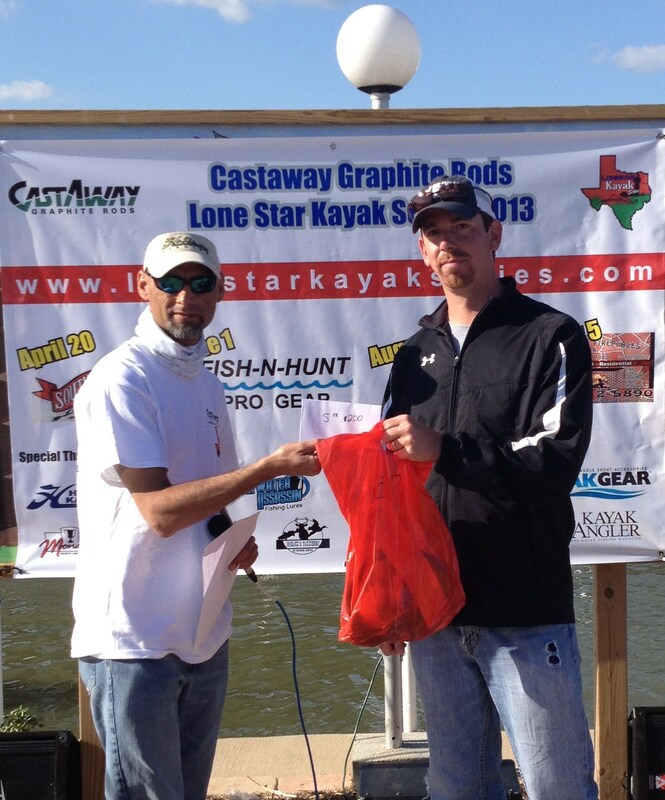 Ricky and I fished event #1 of the Lone Star Kayak Series together yesterday and had a great day on the water. I took a day off of work Wednesday to prefish the two areas we were trying to decide between in hopes of finding a few good fish. South winds had been pretty strong for a few days and had caused the water in the bay to run about a foot and half above predicted. Both marshes I fished that day had so much water in them that the fish were scattered all over the place and hard to find. All of the fish I came across were laid up and not moving or looking for food. 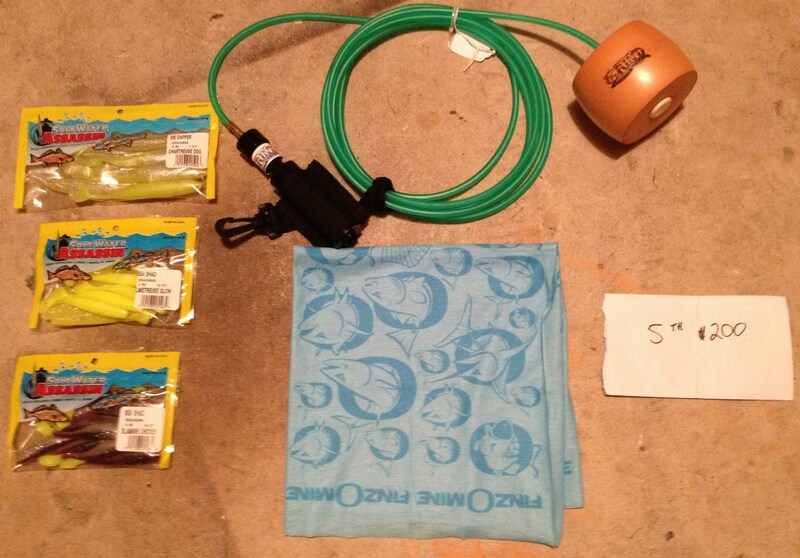 Out of the 8+ hours I fished that day I never once saw a baitfish or shrimp get eaten, jump, or flee. I only caught a few fish that day and they were all the result of blind casting to random areas. Needless to say, I didn’t have a good feeling about tourney day, especially with the fact that a cold front would be hitting on Thursday afternoon causing the temperatures to drop to the mid 40’s for the next couple of nights. It wasn’t until Friday evening that I made a choice on where to go. The cold front came through and actually did us a favor by knocking the tides back down to a couple inches below predicted. The marsh I wanted to fish was going to have a low tide around 8 am Saturday morning and rise pretty quick until noon which was a good thing. This particular marsh has a couple of shallow lakes that are connected to each other by a few deep channels that range from 3-6 feet deep. When the tides are low the water gets sucked from the lakes into the deeper channels bringing any baitfish or shrimp with it and trapping them. 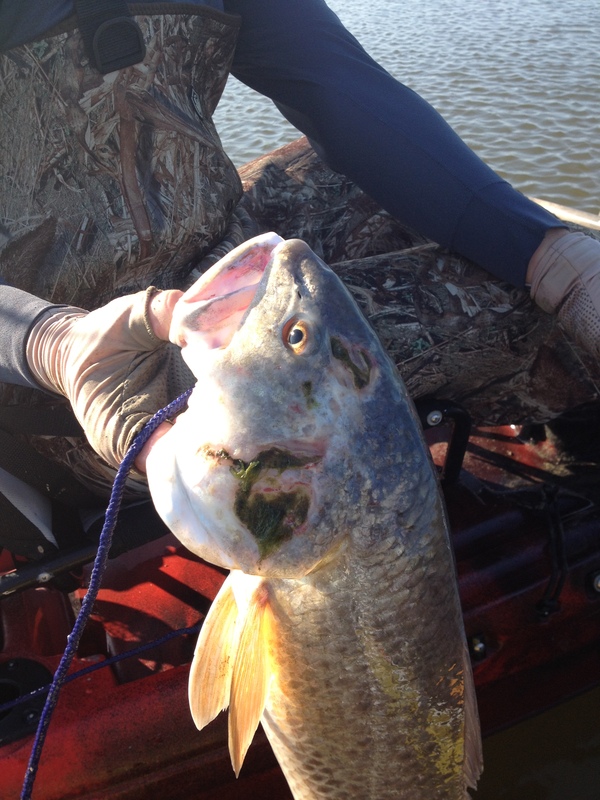 As this occurs the redfish sit in the deeper channels and have an easy time feeding themselves as the bait comes by. We planned to focus on the deeper parts of the channel that had any sort of drain, restriction, or curve and the fish were there like we had hoped. We woke up Saturday morning at 4am to 45 degree temps, threw the kayaks in the truck, and headed to our spot. We unloaded the truck and pushed off at 6:00 am and began the 2 mile paddle to our location. We arrived at the entrance of the marsh to see the end of the falling tide still trickling out. I picked up my rod with a Midcoast Evolution Popping Cork and 3 inch Pearl White Gulp Shrimp and made a cast into the middle of the drain. About 4 pops of the cork and I had my first fish on the stringer at 21 inches. Not an impressive fish but at least it got me on the board. 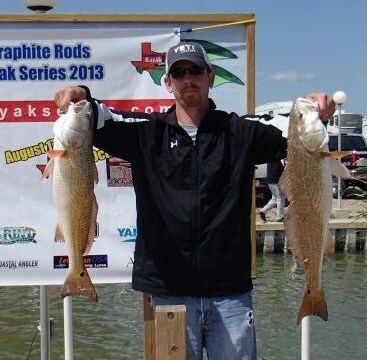 On the very next cast I caught a 23 inch red followed by a 24 inch red on the cast after that and began upgrading. I knew we had chosen our location well when those first three fish were caught on the first three casts. The action at the front of the drain died off after those 3 fish so we moved in a little further to a spot with multiple drains dumping into a deeper gut. Ricky and I both picked up a few fish from this spot giving Ricky 2 fish on the stringer and me another upgrade to a 23” and 25 ½”. We then split up for about 30 minutes while I explored the right branch of the channel and he kept to the left. I chose the wrong path and caught no fish and Ricky chose the correct path and upgraded with an ugly 26 ¾ ” red. We met back up and kept slowly moving up the channel stopping at the areas with drains and picking up a few fish at each spot. 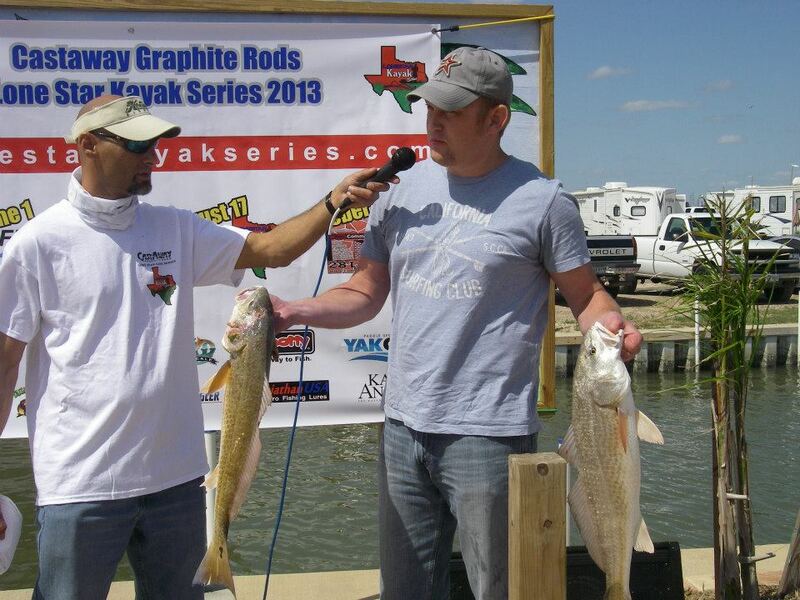 We came to the first lake and caught a few more fish which gave Ricky his final upgrade of the day with a 26 ½” red. We made our way to the next channel leading to the 2nd lake and I made my final upgrade of the day throwing a 4 inch pearl white Gulp Ripple Mullet on a 1/16 ounce jighead into a 90 degree bend in the channel with some deep water and picked up a nice 27 5/8” red. This was the final fish of the day as the larger mullet moved in and the reds seemed to get out. 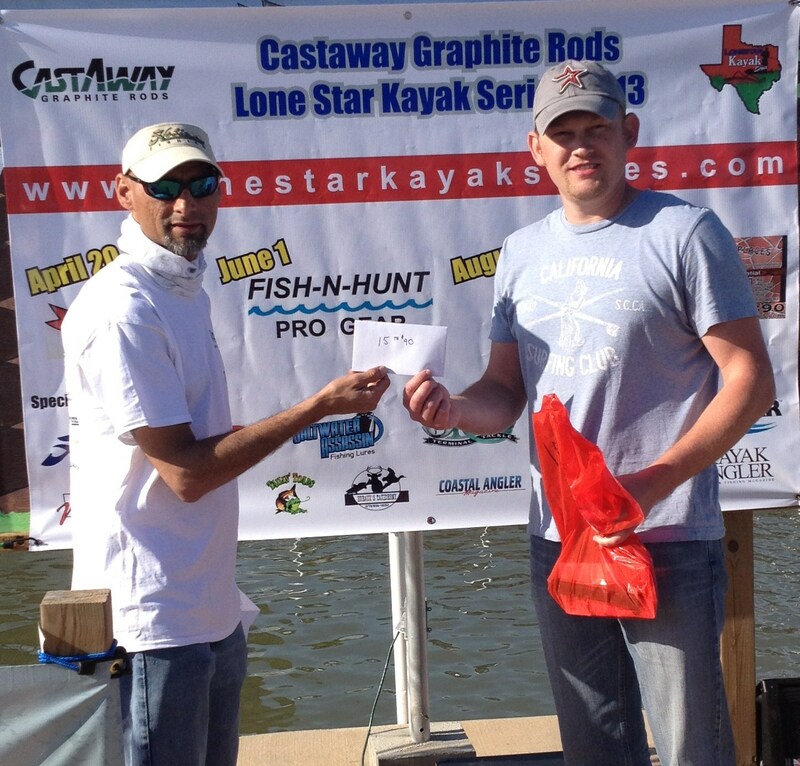 We made it to the weighin and Ricky finished 15th with 11.67 lbs and I finished 5th with 14.20 lbs. We had a great day on the water catching about 25 slot reds and 7 flounder between the two of us. 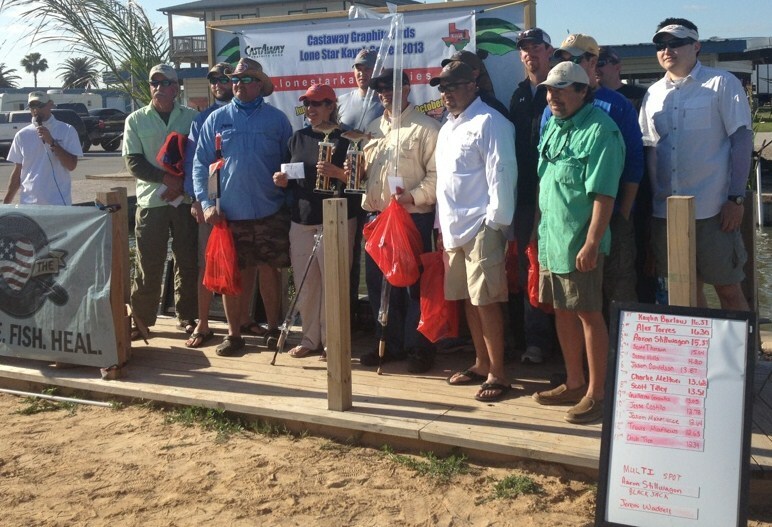 Definitely looking forward to June 1st and event #2.
on`t win….it`s on June 1. It would make it a little more difficult wouldn’t it? Thanks for catching that.